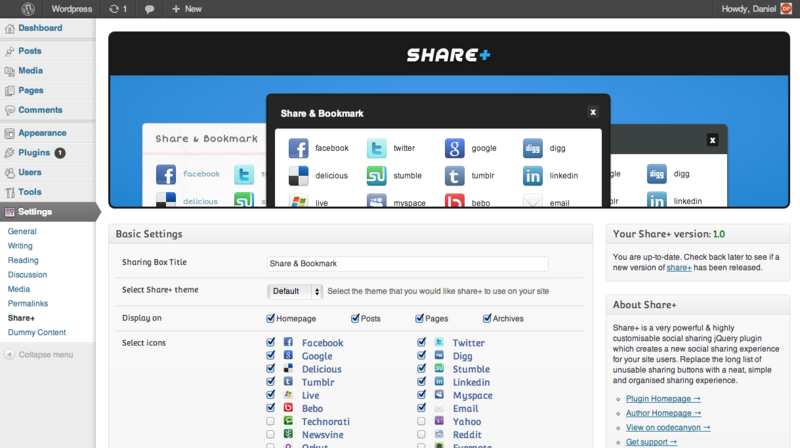 Share+ is a very powerful & highly customisable social sharing Wordpress plugin which creates a new social sharing experience for your site users. 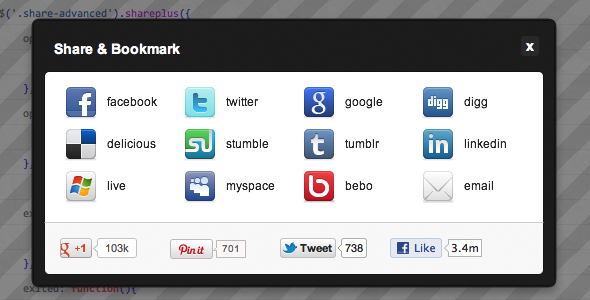 It comes with five pre made themes which allows for high customisability with the power of CSS. 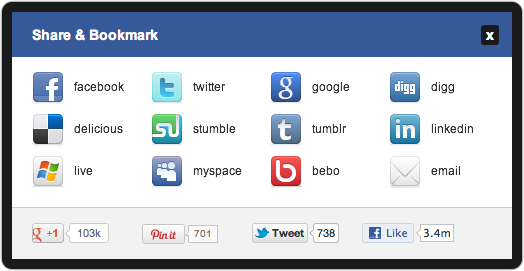 Replace the long list of unusable sharing buttons on your webpage with a neat, simple and organised sharing experience. Made with the latest technology – Powered by jQuery, supports HTML5 and it made with pure CSS3 (Yep, even the background stripes. 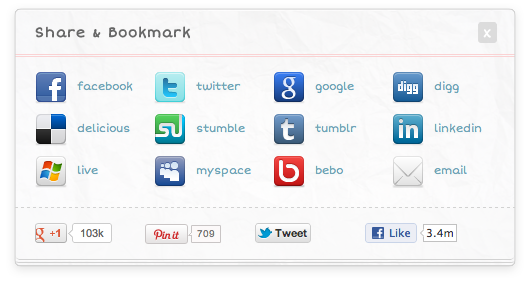 Everything except the icons and the share+ sticker on the left is made with pure CSS3.). Incredibly easy to modify and future proof! We have optimised all the default settings to provide your site with the best user experience. And if you want to change any settings, it couldn’t be easier. Our custom built beautiful admin panel allows you to pick the exact settings you want. You can always stay up-to-date on the latest version of our plugin. In the right sidebar of the admin panel, we have build a version tracker which will notify you of any newer versions of the plugin that you have not yet updated to. 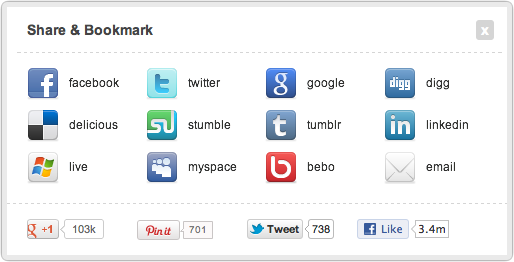 Encourage your site visitors to share your content without being too annoying. 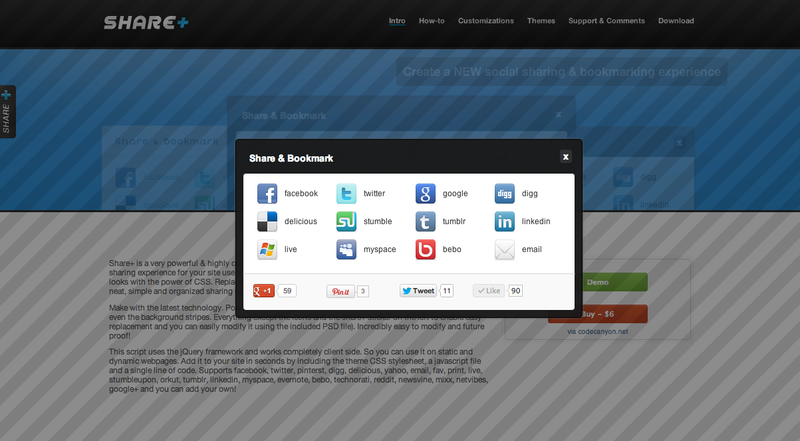 Intelligently encourage sharing – for example, make share+ open when a user has finished reading your article. Or when a user has been on a single page for a certain period of time. Share+ Wordpress plugin has been tailored for the simplest setup but never reducing the functionality and the customisability of the script. In trouble? No problem, contact me using the form on my envato profile page here. I’ll be happy to help you out. Firstly please check out the FAQ section and see if you could find any solutions there. You can also contact me via the contact form on my profile page. I’ll be happy to help or provide support for my products. Support questions about my products on envato marketplaces sent via any other means will be ignored. Please try to include the following information if applicable with your message. URL to your affected page. + anything else that you think will help us generate a speedy response.